On a steamy day in Cannes last June, the CEO of a global agency network was sitting in the lobby of the Carlton Hotel complaining about the cost of being there. The entry fees, the case studies, the villas, the bar tabs, the time away from work — does it really pay to participate in the Lions festival every year, much less the full gamut of awards shows? Could an agency get away with saying it wasn’t going to play along anymore? What would it take for a network to just pull out? "It’s like we’re all just waiting for someone to go first," the CEO said. Last week, someone went first. Maybe. "You will not see a lot of entries from DDB in any award shows, and we are pulling back from a lot of them" this year, said Amir Kasseai, CCO of Omnicom Group’s DDB Worldwide, in an interview on Friday. Earlier in the week, Kasseai announced DDB’s intentions in a column blasting the industry’s obsession with awards, saying they skewed priorities, distracted from the real work and lured agencies into acting immorally. "Too many of us in the industry have bought into the idea that winning awards is proof of creative effectiveness, so much so that we’re willing to sacrifice our integrity to get them," he wrote. "And in turn that has lessened the integrity of the awards themselves." Few seem to disagree with Kassaei’s premise: the awards circuit is plagued with problems, from jury collusion to scam ads to audience fatigue. "Amir is right," said David Lubars, CCO of BBDO Worldwide, also part of Omnicom. "These shows have become corrupt and cynical. And when I say corrupt, I mean people find a way to scam that is legal." But can an agency network realistically walk away from the awards circuit in 2016? Does anyone really want to? Even Kassaei, having thrown down the gauntlet, wouldn’t specify what "pulling back" actually entails. Pressed for details about the agency’s plans — is DDB reducing its budget for awards submissions? Pulling out of any specific shows? — Kassaei would say only that, "you will not find DDB at the top of any awards show. There will be a lot, lot less entries than there were in the past." Following the publication of Kassaei’s column, creative directors were eager to agree with him, but not necessarily to follow his example. "You can blow off Cannes completely, but I don’t think it would be productive," Lubars said. The festival "offers a really good service to the industry. It’s good to have clients and creatives all come together and look at work together, assess the direction the industry is going, and see the big picture. And it’s hard to win. If you win, it means something. It only doesn’t mean something if you took shortcuts." Given the realities of the industry today, blowing off Cannes — or any major awards show — might be more than unproductive; it could amount to commercial suicide. For agencies, a shelf full of gleaming hardware is an essential new-business tool, a lure for recruiting talent and a gateway to positive press. For CMOs, ad industry awards are an increasingly important way to ensure they keep their job for longer than it took to get it. And for young creatives, awards pave the path through a crowded field to a better job. By pulling out of awards, agencies risk dropping in rankings like the Gunn Report that potential clients use to differentiate them from their competitors. "If you don’t make the lists, you are out of the conversation," said Susan Credle, global chief creative officer of the Interpublic Group’s FCB. "We are a list-driven world, and we judge who we want the most based on how many lists they are on, and how many times we see them on a list." In 2011, the Cannes Lions introduced the "Holding Company of the Year" award, adding to the pressure on individual networks to rack up points for their team, either by winning Lions or simply getting their names on category shortlists (an enticement to enter as many categories as possible). 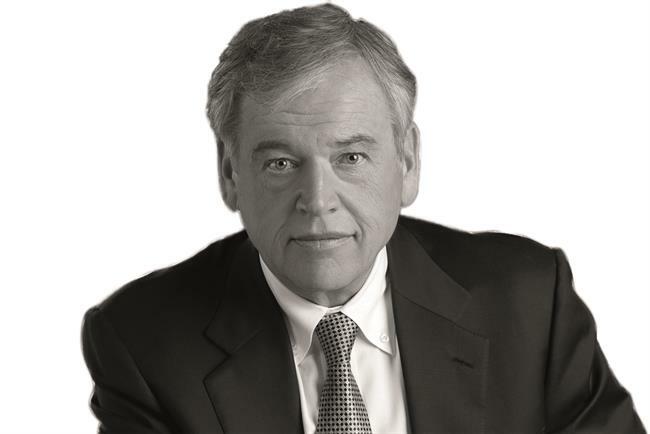 John Wren, CEO of Omnicom, said in a written statement that he had no quarrel with DDB’s decision to cut down on awards submissions. "I completely support Amir and DDB's point of view on the business of festivals," he wrote. "The end game is to leverage creativity to drive our clients’ businesses. Omnicom has always, and will continue, to support the individuality of our agencies in choosing which award shows and category submissions make sense for their respective clients and brands." Not all holding company CEOs are so laissez faire about their agency’s pursuit of awards. But even Wren has been known to crow about awards when talking to investors. "Omnicom won more Grand Prix and Gold Lions combined than any other holding company," he boasted to investors on an earnings call in July 2014, mentioning by name DDB, OMD, PHD, BBDO and TBWA. 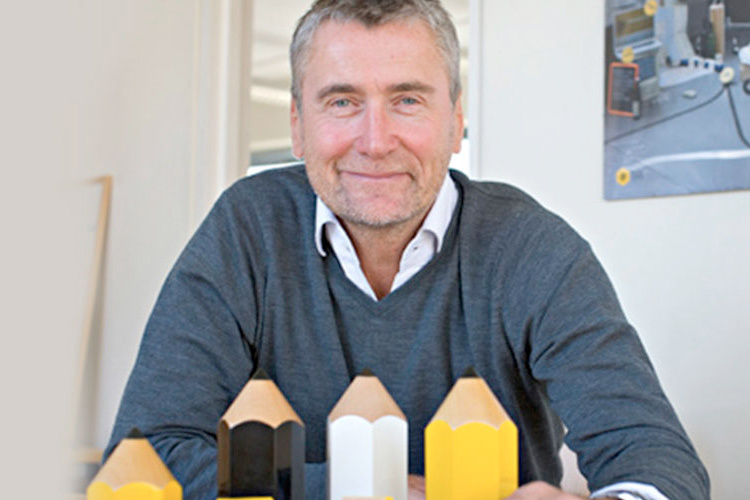 John O’Keeffe, worldwide creative director of WPP, which has won Cannes’ "Holding Company of the Year" honor each and every year since the awards show introduced the award in 2011, said there is "some merit" to Kassaei’s statement about the proliferation of shows and his desire to focus DDB’s efforts. "There are so many awards shows that I’ve taken the decision to pull WPP out of almost all of them," he said. "One exception is Cannes, because that’s where the clients are, and every creative wants to do well. No other awards show carries such clout, and it matters as much to us as our clients." This is also evidence that award-winning work is better for the client. Studies conducted by the IPA and the Gunn Report have shown that award-winning work is more than 10 times as effective as work that doesn’t win. Taken together, the pressure on a creative director to enter and win awards in today’s industry simply outweighs their cynicism about the pursuit, many say. "I think the pressure that Amir feels is the same pressure that I feel, that Khai feels and David Lubars feels and the Ted Royers of the world feel," said Rob Reilly, global creative chairman at IPG’s McCann Worldgroup, referring to the CCOs for WPP’s Ogilvy and Droga5, respectively. 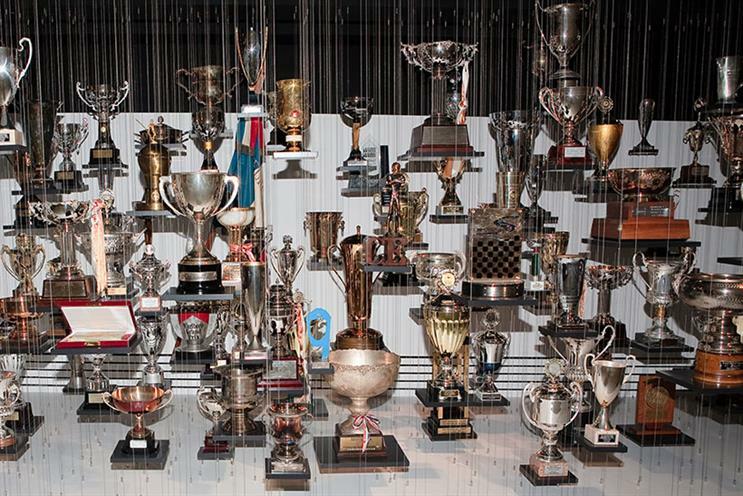 "You’ve got all this pressure of how do you keep winning awards, but also how do you not overspend?" It may take a few years for DDB to feel the full consequences of reducing its investment in awards, but it could significantly impact the agency’s ability to compete. "If DDB stops winning awards, falls in the ranks on the Gunn Report and stops getting press for their work, they will begin to see a decline in the number of pitches they get invited to and a decline in the size of their accounts," predicted one former award show executive. "When it does, DDB will be back in the award show business in a big way. I saw this cycle over and over again. If this happens to DDB, Amir won't be in charge when DDB re-enters the fray." Not surprisingly, theories about Kassaei’s and DDB’s true motives abounded last week. Skeptics dismissed DDB’s announcement as a PR move, noting it could be a "preemptive strike" for a network that doesn’t feel good about its awards prospects this year. And many pointed out that DDB itself was not pure. In 2008 the agency couldn’t answer questions about when or where a Cannes Bronze Lion-winning McDonald’s ad ran. 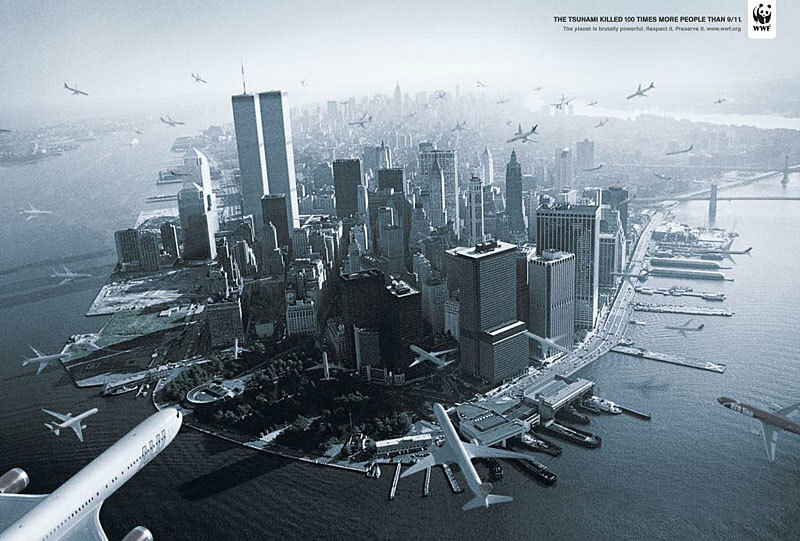 And in 2009, the agency’s One Show merit award for a controversial 9/11-themed World Wildlife Fund ad was rescinded after it was discovered that it ran only once. 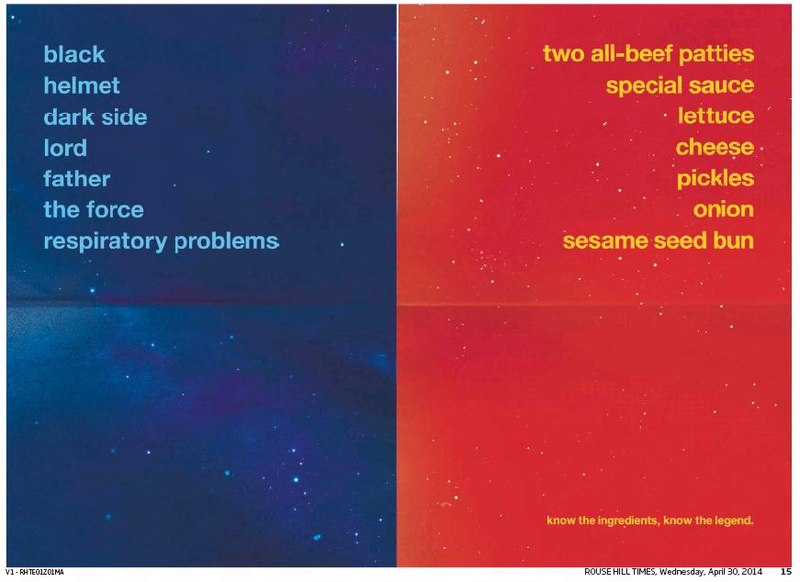 Kassaei, named global CCO of DDB in 2011, acknowledged the agency’s history, saying it represented an old way of thinking at the agency. "We used to play the game, too, but I think we were forced to because we believed that was the only way of being at the top or to be competitive," he said. DDB’s plans aside, the mounting frustration over awards is real (if not new), as is the desire to spend less money on them. In a Campaign US poll last week, 74% of respondents said they wanted their agencies to spend less money on awards submissions in 2016. Jeff Goodby, for one, said that his agency spends one-third of what it used to on awards shows 10 years ago. "I hate awards for the same reasons Amir does. I don’t think they have anything to do with real work," said the co-chairman and partner of Goodby, Silverstein & Partners, San Francisco, adding that the work represented at Cannes has become irrelevant and "self-referential." "I actually think they have made the business less famous in a way because people get obsessed with things that don’t make a difference in the real world," he said, echoing sentiments he shared in a post in The Wall Street Journal last year, saying he wouldn’t likely attend Cannes again unless a client asked him to. Adding to the disillusionment is the feeling that the shows have simply gotten out of control, with new ones launching all the time and existing ones constantly adding new categories. "You’re always trying to figure out the formula," Reilly said. "Which shows? How many categories do you do?" 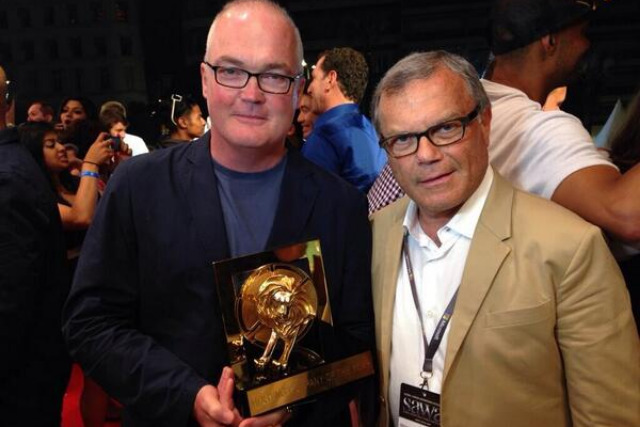 WPP celebrates winning holding group of the year in Cannes: John O’Keeffe (left) and Martin Sorrell. For many creative chiefs, Cannes’ Holding Company of the Year awards is Exhibit A that the awards shows have gotten further away from their original charter of celebrating the industry’s best work and the talent that made it. "That has nothing to do with what you did for clients. That is some kind of ego thing for the guys that don’t really make the work," said Lubars. "It should be about work. It shouldn’t be about points or anything else." On the upside, there are now enough shows and categories that "everybody probably can feel good about themselves at some point," Reilly added. Long aware of the problems, the major awards shows have attempted several conciliatory moves — mostly toward eliminating scam ads. In 2009, several shows instituted new guidelines and penalties for entering work that didn’t qualify. After the WWF scandal, the One Show threatened to ban agencies for five years if they submitted work that was not made for real clients or ran only once to make them eligible for submission. D&AD and The Art Directors Club warned it would flag suspect work to other shows. And Cannes said it would ban the creatives (not the agencies) responsible for the scam ads from entering work in the future. But stiffer penalties don’t mean much when the rules are easily skirted. One of the worst kept secrets in ad land is that clients will often sign off on ideas they don’t want for their mainstream campaign just to get them entered in shows. Which leaves juries to grapple with ads that they know are legitimate in name only. The accusation that some winning work hasn’t gone near real consumers or sold any product has some weight," wrote Tim Lindsay, the CEO of D&AD, in an open letter to Kassaei published this week. "Perhaps we have become overly self-referential. Perhaps there is a small minority who deliberately game the system." Nonetheless, dropping out is not the answer, he insists. "But it would be a very great shame, on all of us, if we were to let some bad behavior at the margins ruin the whole, value-creating edifice." It’s not surprising that Lindsay feels that way, of course. But plenty of creative directors agree. 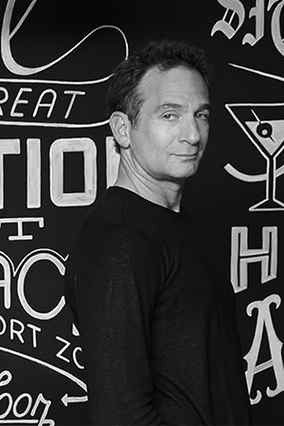 "There has to be a basic assumption that we work in an industry full of people who have good will toward each other and everybody is operating in good faith," said Jae Goodman, chief creative officer and co-head of CAA Marketing, who will lead Cannes’ first Entertainment Lions jury this year. "The real world may not operate that way, but the first responsibility of the jury is to assume good faith, and the second responsibility of every jury is to do their homework." For all the frustration, awards do provide their own kind of inspiration for an industry in which feeling good about your work can sometimes be hard. "It inspires us to try to be our best every day," said Credle. "We should use award shows, especially like Cannes, as motivation to do great work for our clients and do great work for the world." Still, given the persistence of the complaints, the time may come when an agency decides to try pulling out of awards all together, even if just for a while. As an experiment, Goodby says he’s entertained the idea of sitting out a single awards season. "That’s a viable thought, to see what happens if you don’t enter anything for a year," he said. Just not this year. "I don’t think I’m ready for that yet," he said. Of course, a smaller agency like Goodby sitting out the shows for a year may make a public statement, but will have much less impact on the industry and the awards shows than a larger global network like DDB. Kassaei may hope his new directive will recalibrate his own agency’s priorities and that other agencies will follow, but many will inevitably view his latest firebomb as empty blustering until concrete plans are revealed. Only time will tell how much action will follow his inflammatory words. And, as competitive as the business is, if DDB does significantly change its awards show strategy and cut down on its entries, especially in Cannes, it could just leave the agency in a vulnerable position. "Amir wants to spend less time and money on awards," said the former awards show executive. "He wants his people focused on the right things. When he does win awards, he wants them to be meaningful and special for both the agency and client. Those are all noble causes." "Unfortunately, I think it’s far more likely that other agencies will see DDB’s withdrawal from awards shows as an opportunity for them, rather than a chance to follow DDB on a noble quest."